Natalie and Brandon Champagne knew they would become parents – they just weren’t sure how. Brandon had fought leukemia as a child, and they knew it wasn’t likely they would be able to have children of their own. The couple heave about the Snowflakes Embryo Adoption Program and knew that it was the option for them. 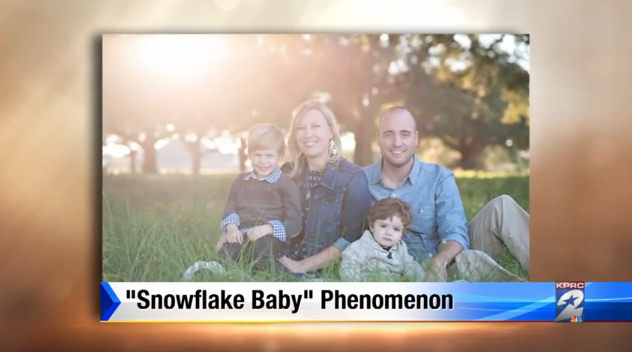 “We decided on the Snowflake Adoption because I really wanted a chance to be able to be pregnant,” said Natalie. “We really loved the idea of being able to give an already-created embryo a chance at having life.